Here's is how i made them! 1. 4 Newspaper pages stacked together. 2. Make a spiral from the center with the constant width with a pen or marker. 3. How large the Spiral would b depends on how large you want your flower to be. 4. Starting from the end of the spiral starting folding the paper inwards, first tightly than loose towards the ends. 5. Here u are done, join it with glue at the back end. 6. Now pick the color of your choice and start coloring the edges of the flower. In the end you get a beautiful paper flower. 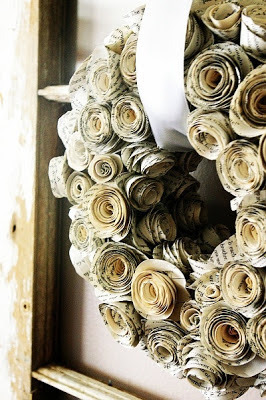 These flowers can be made with Fabric, book pages or any good material you have. Fix it on a hair pin or as gift wrapping flowers or use it as you wish.These simply look fantastic.